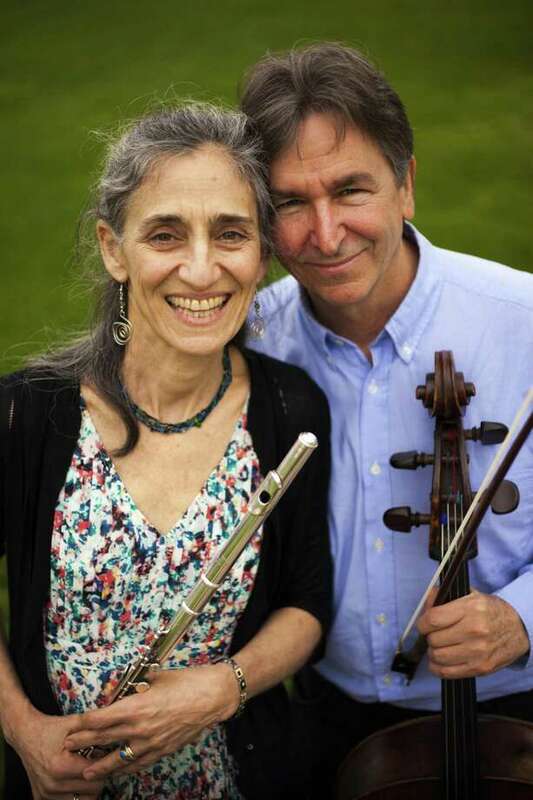 The Sherman Chamber Ensemble, under the artistic direction of Eliot Bailen, will offer a variety of summer concert series, as well as special programs, in the coming weeks. The series will kick off the weekend of July 13 at 7:30 p.m. at the Smithfield Church, 656 Smithfield Valley Road (Route 83), Amenia, N.Y., and July 14 at 8 p.m. at RT Facts Gallery, 8 Old Barn Road, Kent. The concerts will celebrate “The Great Schubert Quintet,” featuring a trio of musicians from Holland. Returning to the ensemble will be special guests Elisabeth Perry on violin, Concertmaster Netherlands Radio Chamber Orchestra, Richard Wolfe on viola, Principal Netherlands Chamber Orchestra and Matthias Naegele on cello, international soloist and chamber musician, all of whom are members of The Rietveld Ensemble based in Utrecht, The Netherlands. A meet and greet session with the artists will follow each performance. The August and September concerts will be held Fridays at 8 p.m. St. Andrew’s Episcopal Church on Main Street in Kent and Saturdays at 8 p.m. at Lake Mauweehoo Clubhouse on Leach Hollow Road in Sherman. The Aug. 10-11 concerts will focus on “The Heart and Soul of Beethoven, Op. 132” and feature Susan Rotholz on flute, Jill Levy on violin, Doori Na on violin, Michael Roth on viola and Eliot Bailen on cello. The Aug. 11 concert will be dedicated to the memory of Mary Rindfleisch, longtime Sherman Chamber Ensemble volunteer and executive director, and a lover of music, family and friends. The season will culminate with Israeli-born pianist Benjamin Hochman, who will be joined by Susan Rotholz on flute, Jill Levy on violin, Doori Na on violin, Michael Roth on viola and Eliot Bailen on cello, Aug. 31 and Sept. 1. The program will include “Piano Trio” (Bernstein), “Duo for Flute and Piano” (Copland), “West Side Story Medley Arr. Moss” (Bernstein) and “Piano Quartet No. 2 in Eb Major, Op. 87”(Dvořak). A reception will follow the concerts. General admission to all concerts is $30. Senior and student admission is $25. Children 15 and under will receive free admission when accompanied by an adult purchasing a regular admission ticket. Tickets may be purchased at www.ShermanChamberEnsemble.org or by calling 860-355-5930. Tickets will also be available at the door, but are subject to availability. Discounted subscription tickets are available for the full summer concert series. In addition, the ensemble will offer a free children’s concert, featuring musical retellings of stories such as “Ferdinand the Bull” and “Peter and the Wolf,” as well as sing-along songs and a classical “show and tell” performance, July 14 at 2 p.m. at Sherman Library in Sherman Center. The ensemble will offer a discussion and rehearsal to look inside Beethoven’s “String Quartet, Op. 132” Aug, 11 at 2 p.m. at Sherman Library. On top of those events, the ensemble will offer a bluegrass jamboree Sept. 1 at 2 p.m. at Lake Mauweehoo Clubhouse on Leach Hollow Road in Sherman and Sept. 2 at 1 p.m. at Kent Village Barns in Kent. The annual Lake Mauweehoo Coffeehouse will be held Sept. 7 at 8 p.m. at the clubhouse. Admission is $20 per person, with doors to open at 7:30 p.m.